Italy football/soccer T-shirts & jerseys for sale which you can buy now online right now! 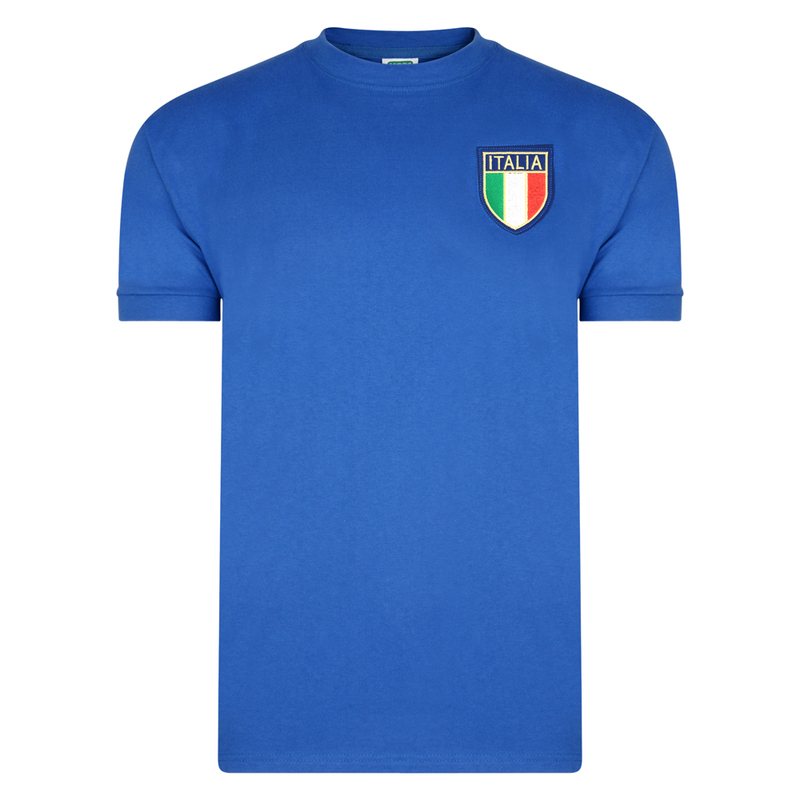 Italy 1982 World Cup Winners Rossi 20 Retro Football Shirt. After representing Italy in the 1978 World Cup Rossi was named in the 1982 squad despite only recently completing a 2 year ban as a result of the Totonero betting scandal. Things didn't start well with Italy scraping through the group stage with 3 draws against the relative minnows of Poland, Peru and Cameroon with Rossi looking a long way off full fitness. The Azzurri went onto beat Argentina 2-1 in a brutal affair before Rossi opened his account with a hat-trick against pre tournament favourites Brazil. A brace followed for Rossi in the semi final victory over the Poles and he opened the scoring in the final to secure the Golden Boot, the Golden Ball and a World Cup Winners medal, a feat no other player has since achieved, this was followed up later in the year with both The European and World player of the year awards.